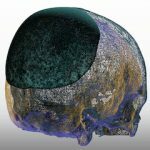 Reconstruction of skull defects has been done with synthetic materials for a long time. 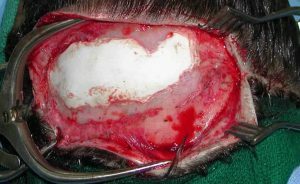 Known as bone cements, these synthetic composites are created intraoperatively by mixing powders with a liquid activating agent to form a putty. This workable putty has a limited time window for being placed into an inlay or onlay skull area and formed into a desired shape before it sets firmly. 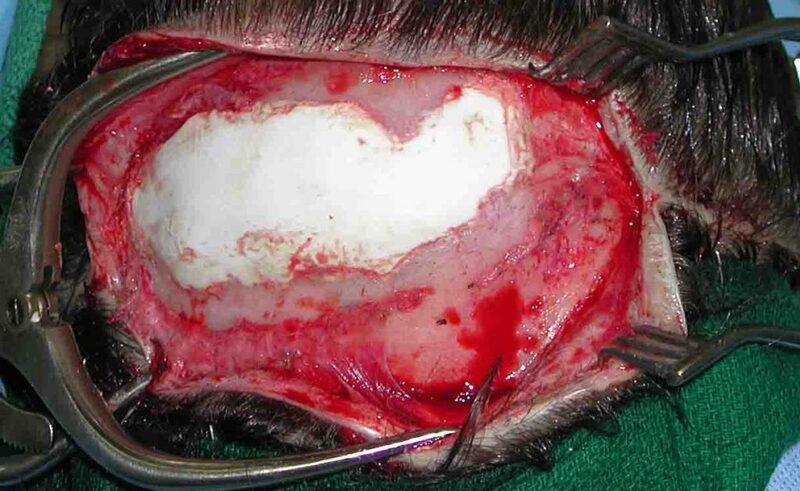 The use of hydroxyapatite cements has enjoyed use in a variety of craniofacial applications such as small skull inlay defects, larger skull onlays and various forehead aesthetic and reconstruction deformities. 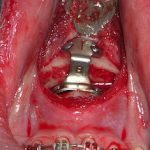 While the appeal of HA bone cements is obvious, working with them is far more sensitive than PMMA. If the powder and liquid are not mixed properly they will set up prematurely or create a lumpy unworkable putty. If one does not apply and shape the material in a timely manner it all set up before it has been properly shaped. If the application site is not perfectly dry the material may not set up at all and be partially washed away. Hydroxyapatite cement preparation Dr Barry Eppley Indianapolis One of the obvious good things to do with bone cements is to mix in antibiotics powders in their preparation. This would help lower the risk of postoperative infection. This has become the standard in orthopedic surgery in joint replacements with PMMA cements. 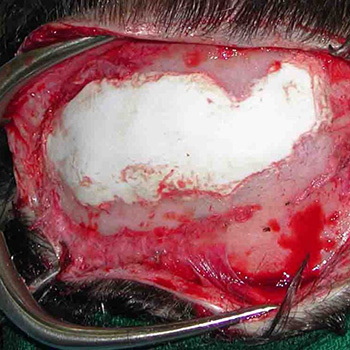 (which come already formulated that way) But in craniofacial applications of bone cements one has to do add the antibiotic powder in with the HA powder. To not disrupt the setting of the cement the amount of antibiotic powder should not be excessive. A fast mix time is required to get the right consistency for application which is like creamy butter. With good mixing and application techniques, hydroxyapatite cements can work very successfully for a wide variety of skull, forehead and very select facial aesthetic deformities. But it is a very technique sensitive material that requires good working experience to be effective as an onlay bone augmentation material.